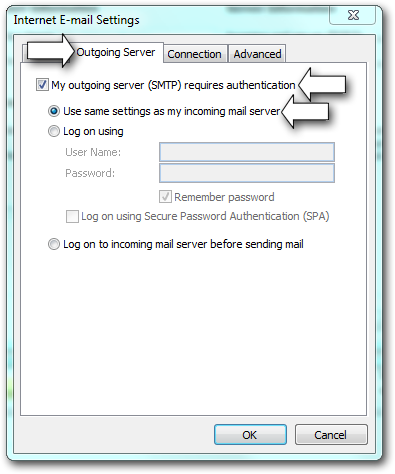 This article will show you how to properly configure your email client to your 3dcart mail server using secure port requirements in Outlook 2003. 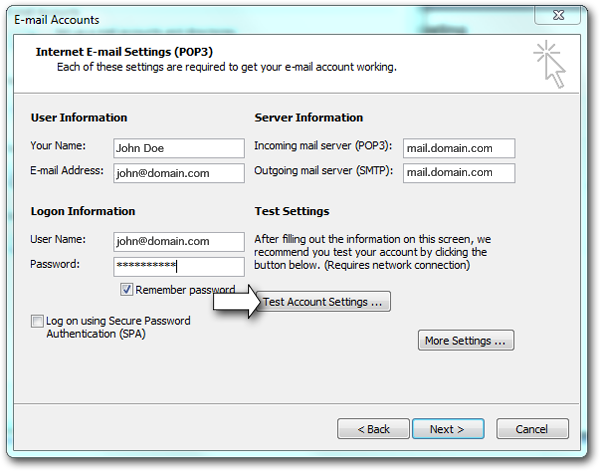 If you currently have an email account set up in your Outlook 2003 email program, we recommend following the steps outlined in Editing an Existing Email Account Profile. However, if you are adding a brand new email account for yourself or a new employee, please follow the steps involved to Adding a New Email Account. Use these steps if you are adding a brand new e-mail account profile to Outlook 2003. Then proceed to "Email Accounts" option in the Tools menu. 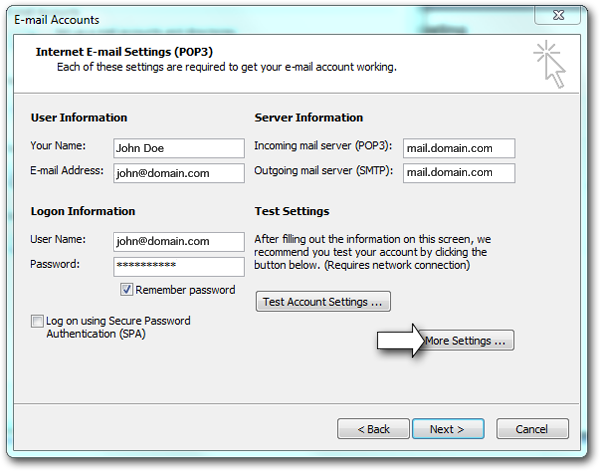 An alternative step to the above is to go to the "Options" menu, followed by "Mail Setup"
Select the "Add a new e-mail account" radio button and click "Next"
Check with your IT personnel if you are not sure whether you are using POP3 or IMAP. Most people use POP3. 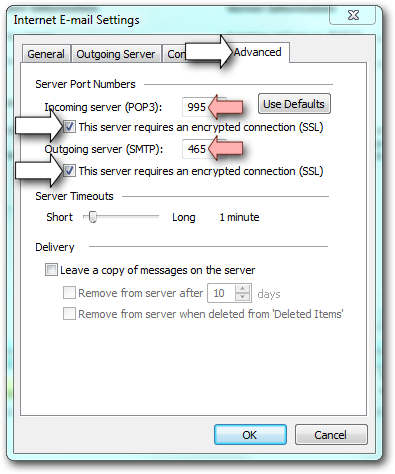 Also, for incoming and outgoing mail servers, you will specify mail. [your-domain].com for both servers. You may get a notification advising you as such, but this warning may be ignored if it appears. Then click on the "Outgoing Server" tab. 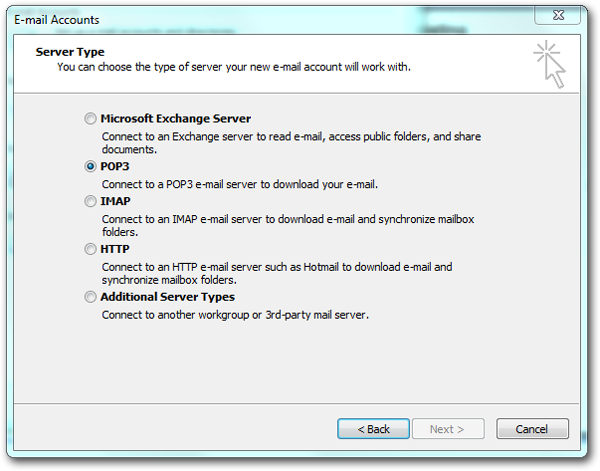 Leave the "Use same settings as my incoming mail server" option selected. Place a checkmark in both checkboxes labeled "This server requires an encrypted connection (SSL)"
You will now be taken back to the Internet E-mail Settings window. Click on the "Test Account Settings ..." button to send a test email via the new account. During the test, you may receive a warning about the server's security. This is due to the entered domain not having its own SSL certificate and the warning is just advising that the security certificate for mail. [your-domain].com could not be found. However, since you are on a shared mailserver, the SSL certificate is in fact present; it's just installed on 3dcart's mailserver name. The warning itself may be ignored because the server still requires authentication and is therefore secure in that respect. However, if you would like to eliminate the warning altogether, you can use the appropriate mail.3dcartstores.com for your account. 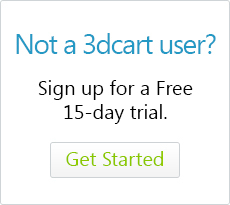 Please refer to your welcome email for the appropriate 3dcartstore.com mailserver to use. Click "Next" to complete the setup. 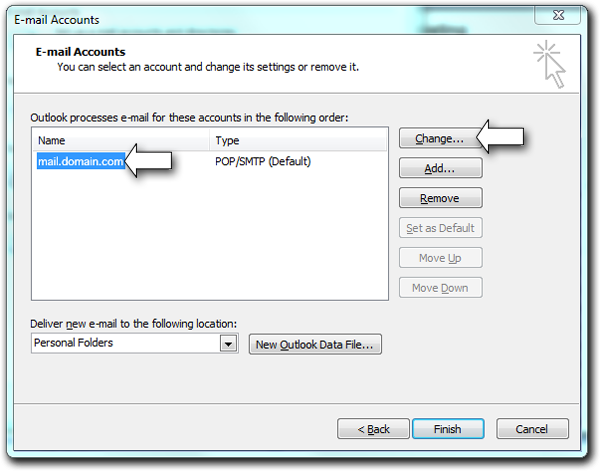 Use these steps if you are editing a previously created e-mail account profile in Outlook 2003. Select the "View or change existing e-mail accounts" radio button and click "Next"
Select the email account that you need to edit from the list and click on the "Change" button located at the top. This will take you to the Email User Information page where you would normally specify your user name and password settings. 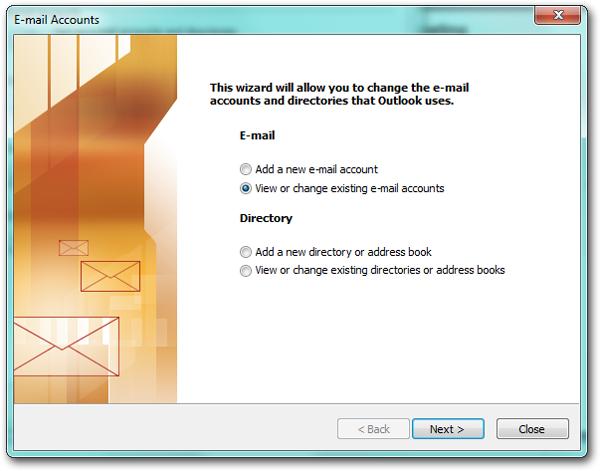 Your email is now set up and ready to use in Outlook 2003 with Secure Port requirements.